Looking for unique additions to your beauty collection that come from inspiring brands? Luxepineapple Post is a fabulous subscription box that features many women-owned brands that you may not have ever heard of, but will definitely fall in love with! From natural skincare to beauty essentials, there's a lot to love in every box. Let's dig in! Butter Toki Lip Scrub | $6 | Slough off that dry winter skin with a delectable lip scrub that's vegan and cruelty free! This lip scrub features brown sugar and a fruity scent that's so natural you can just lick it off your lips. It has natural oils to hydrate and leaves lips silky smooth. I received Cherry Bomb but flavors may vary. Green + Lovely Lip Balm in White Chocolate | $3.89 | This brand has been featured in Luxepineapple Post before and it's fabulous! The scents are delicious and the natural formulas are a great addition to anyone's beauty collection. I received this lip balm is in White Chocolate which is right up my alley! Gotta have my sweet scents. Essentially Nola Exfoliating Grains | $10 | I'm so ready to get my skin glowing again after a cold, dry winter. These grains gently exfoliate to reveal smoother, more radiant skin. I love the little bottle too, it's easy to get just the right amount dispensed without wasting product. 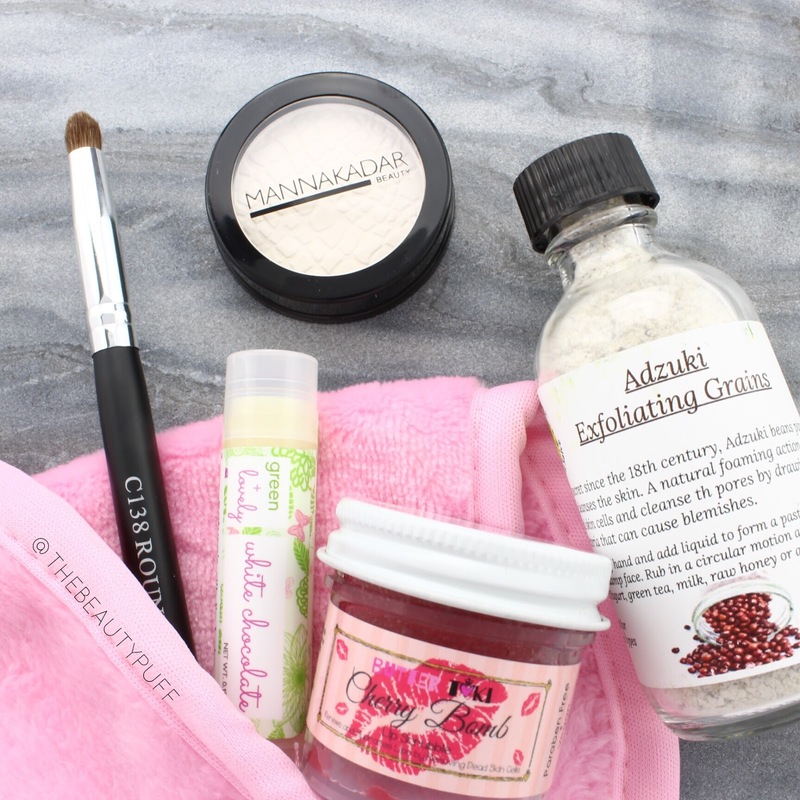 Manna Kadar HD Perfecting Powder | $29 | When I saw this powder I was SO excited. I love Manna Kadar products and this powder looks really nice. There's no color so it will perfect any look no matter your skintone. I also love the size for travel so I'll definitely be putting this in my beauty bag for any upcoming trip. Makeup Removing Towel | $8 | If you're tired of wasting money on makeup wipes, this kind of product is perfect as a more affordable, reusable option. It's soft, machine washable, and really gentle on the skin. And it's pink, I always love that! Crown Brush Round Crease Brush | Bonus item! Subscribe to LuxePineapple Post for $24/mo. NEW subscribers save $5 off your first box with the code THEBEAUTYPUFF. Subscribe below!